Rondo – Brass Quintet | McGinty Music, LLC. The Rondo is from Horn Concerto No. 4 in E-flat, k.495, by Wolfgang Amadeus Mozart. The request for a brass quintet version was for a concert commemorating a horn player. 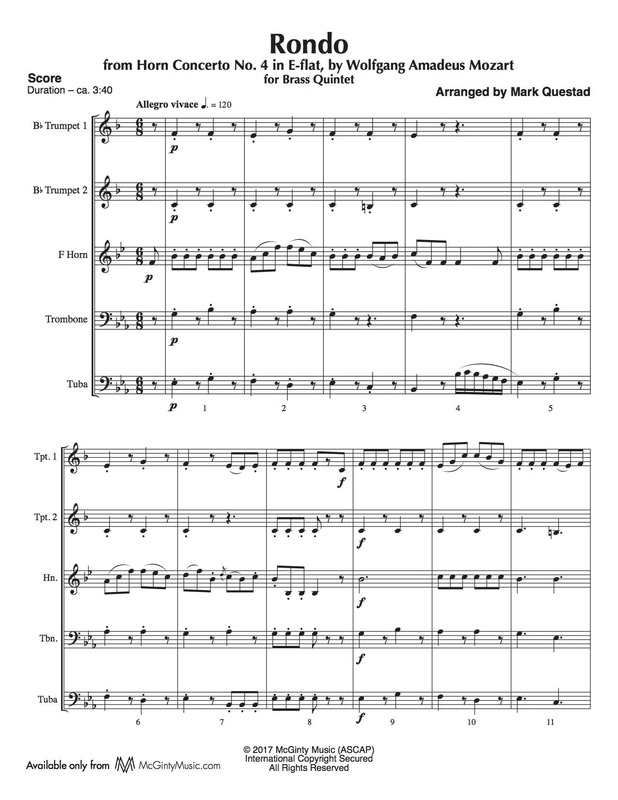 This arrangement features all of the instruments, not just the horn, and will add a classical moment to your program.